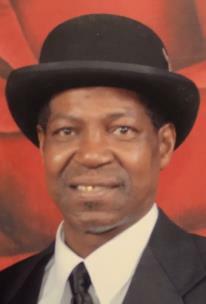 Nichlas Rivers, Jr. departed this earthly life at the age of 65 on January 23, 2019, at his residence. He was born to the late Nichlas; Sr. and Elnora Bloodsaw Rivers on March 6, 1953 in Chattanooga. Nick Jr. graduated from Riverside High School in 1971. He was employed by Mueller Company for 30 years. He leaves to cherish his memories his wife, Terrie Rivers; son, Nichlas Rivers III (Kelsey); daughter, Nichole Rivers; three granddaughters, Tyrhianna, Mila Wade, and Rosalind. The body will lie in state beginning at 11 a.m. on Monday, Jan. 28, at Antioch Missionary Baptist Church, followed by the funeral service at 1 p.m. Interment will be in Forest Hills Cemetery. Arrangements are by John P. Franklin Funeral Home, 1101 Dodds Ave., 423 622-9995.